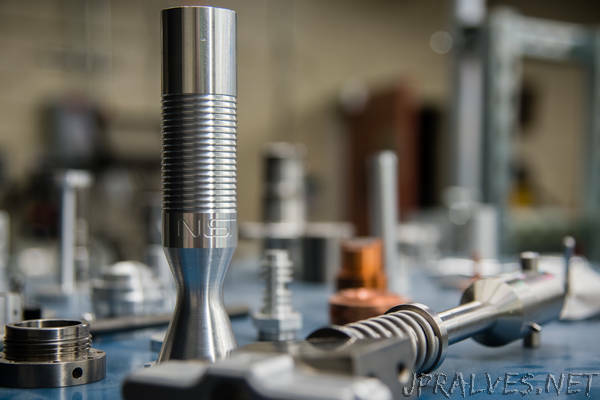 “On a recent morning, Rick Lake stopped in the middle of giving a tour of NIST’s Machine Shop to ponder a part sitting on a shelf. It was about 25 centimeters long and made of metal coated in a sheen of purple and blue. Along the top, gaskets, nuts and bolts stuck out like spines on a steampunk caterpillar. At the top, one big opening poked out like a head.